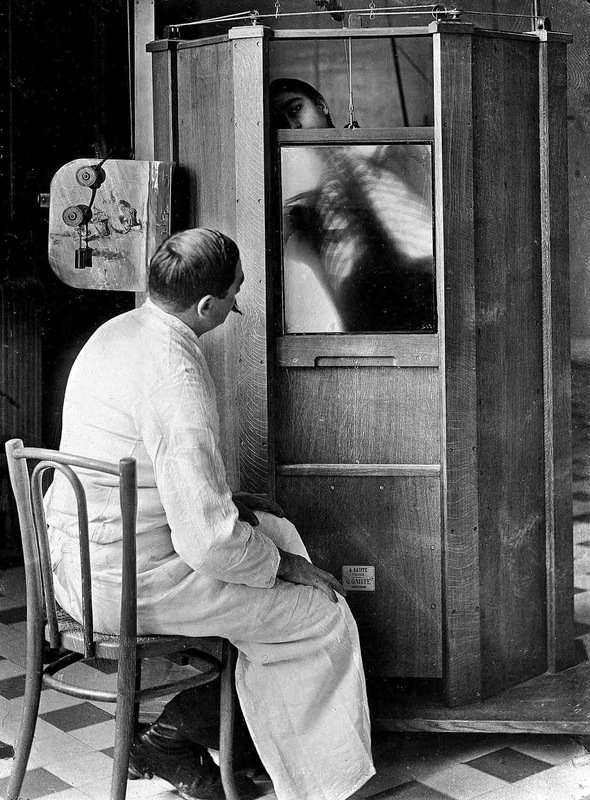 A chest X-ray in progress at Dr. Maxime Menard’s radiology department at the Cochin hospital in Paris, circa 1914. Mendard would later lose his finger to side effects from operating the X-ray machine. 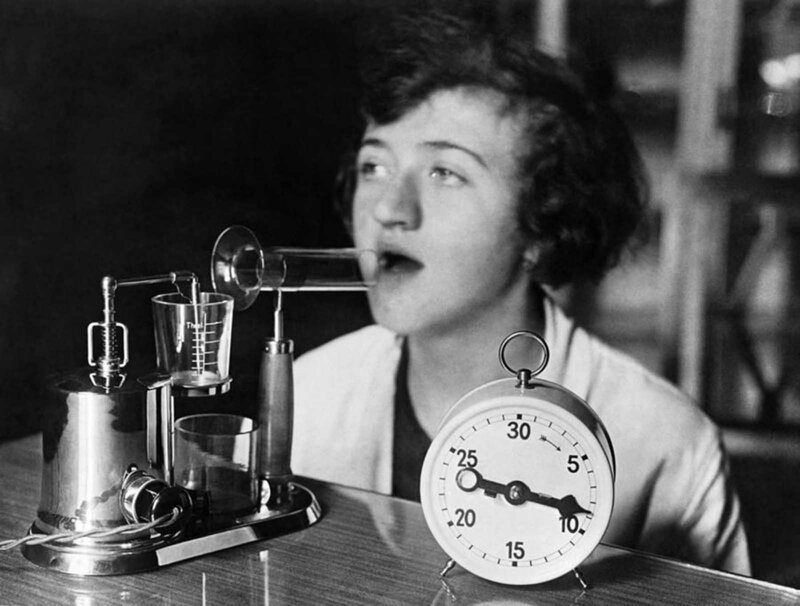 The history of medicine is filled with wild stories of bizarre treatments methods and medical procedures that aimed to make people feel better. Some of the stranger treatments of old-time medicine would turn out to be useful; while cautery—heating an iron stick on hot coals and then pressing it onto a person’s body—didn’t end up curing broken hearts when the rod was pressed against the patient’s chest, the practice was a forerunner to electric surgical instruments. And while doctors were misguided in prescribing the poison arsenic to treat syphilis and skin conditions, a form of the chemical has been used to treat acute promyelocytic leukemia. It also took a long time to figure out how use the technology safely. A French physician, Dr. Maxime Menard, had to have his finger amputated when he developed cancer from frequent exposure to radiation while manning an X-ray machine. (In a striking juxtaposition to modern medicine, Menard smoked a cigarette while his offending finger was surgically removed). When Wilhelm Conrad Röntgen discovered the X-ray in 1895, the New York Times was so skeptical that the paper referred to the medical breakthrough as the “alleged discovery of how to photograph the invisible”. 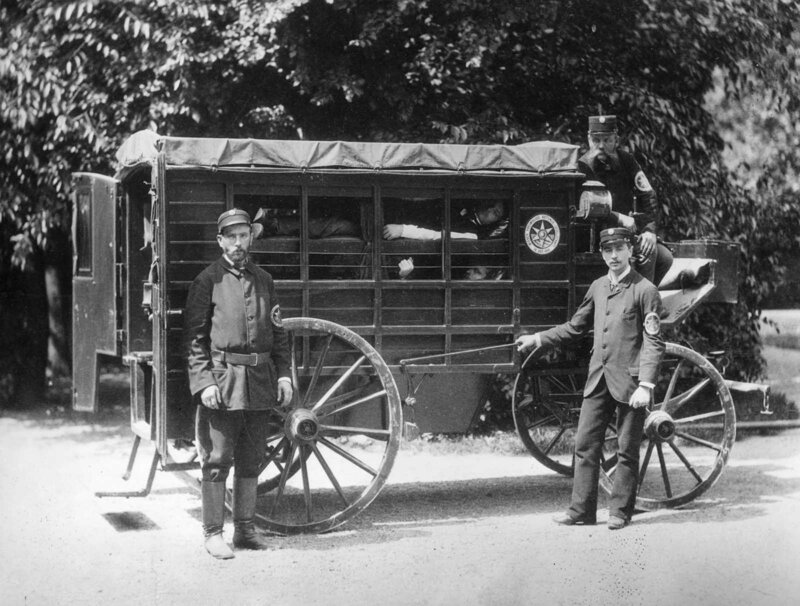 A Wiener Ambulance with patients in ‘layers’ in a horse drawn wooden carriage. The sides are partly open, but have curtains. The ambulance men are members of the Viennese Voluntary Rescue Society founded in 1881. 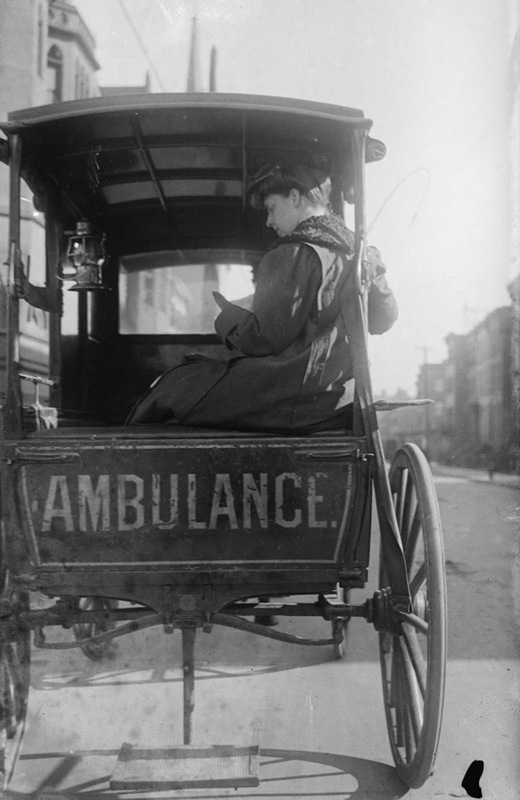 Dr. Elizabeth Bruyn sits in the rear of her horse drawn ambulance in the United States, circa 1911. 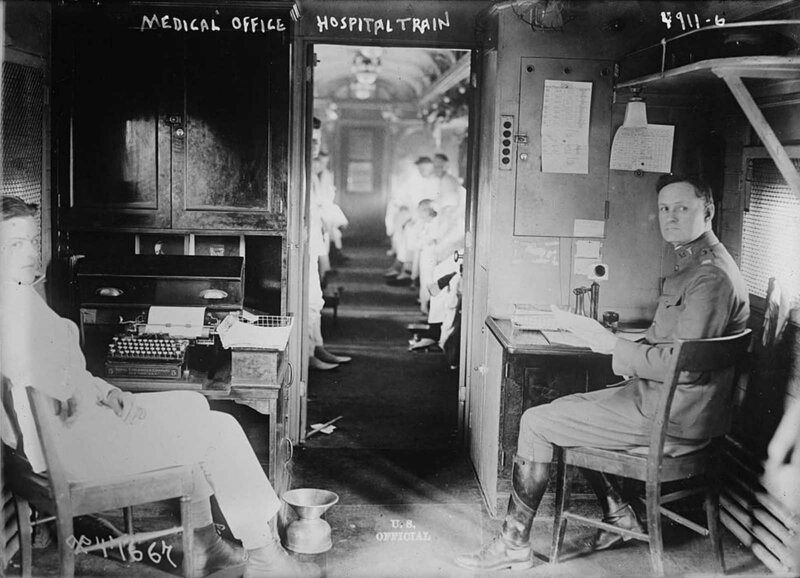 Medical office in a hospital train, circa 1900. 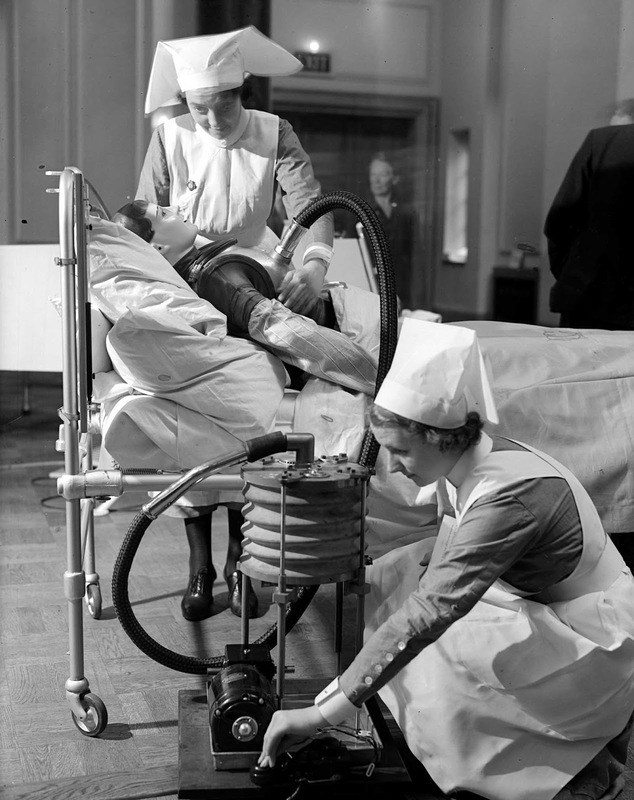 In an effort to make childbirth as painless as possible, a patient inhales analgesia during labor whilst a nurse looks over her in July 1939. 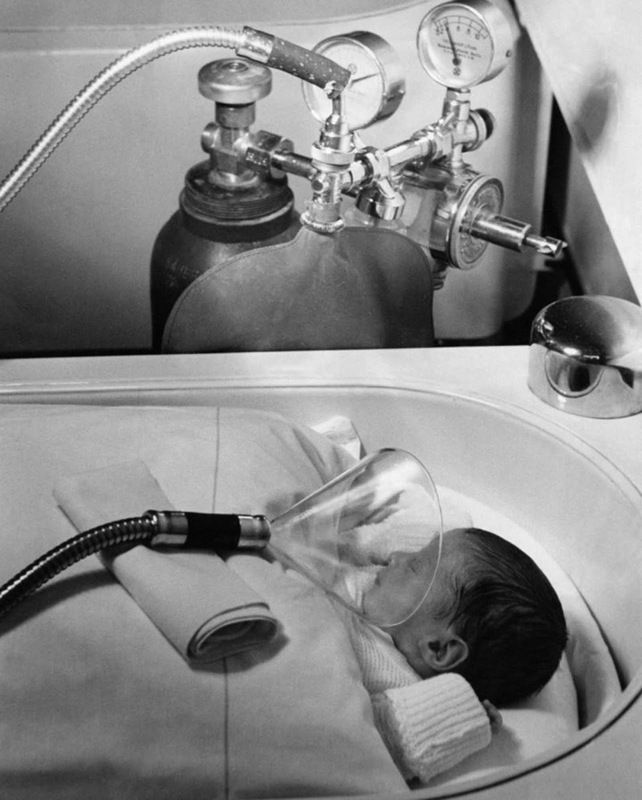 Administering oxygen to a newborn in Berlin, Germany, July 1939. 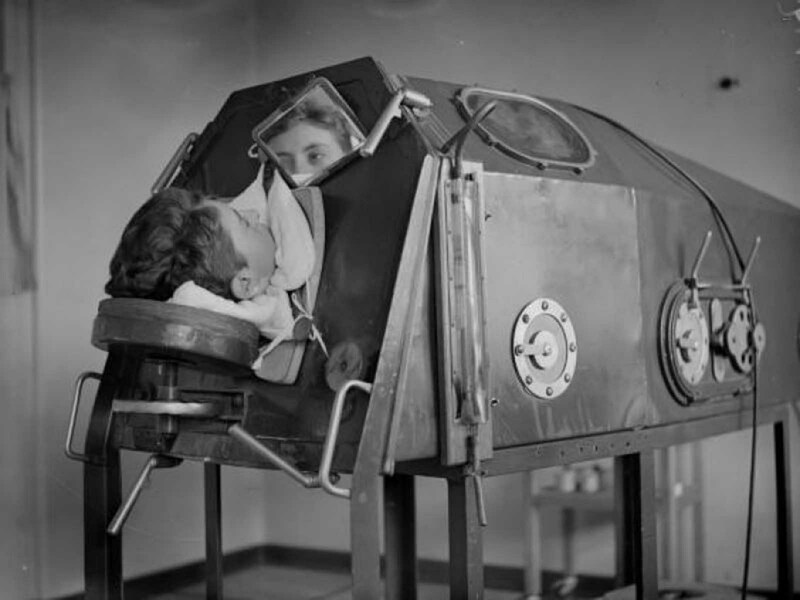 A patient lying in an artificial respiration machine called an iron lung, circa 1938. 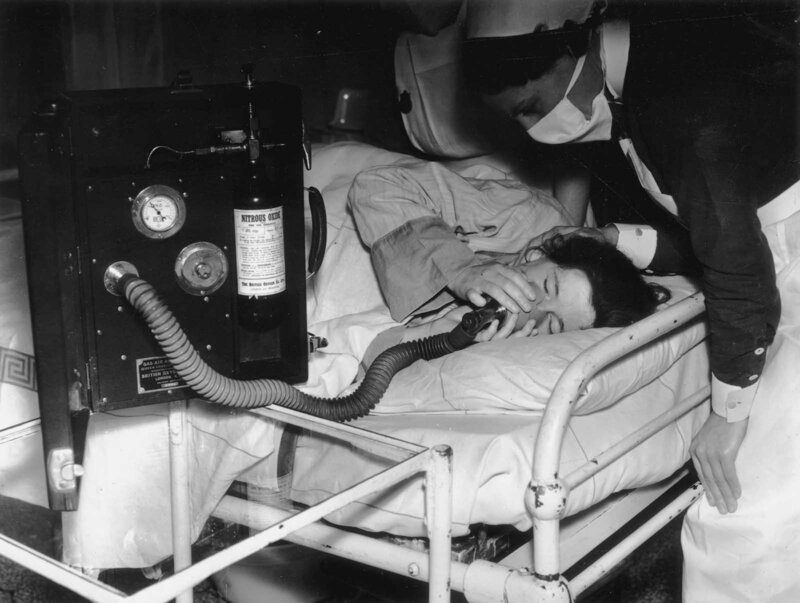 Nurses practice operating a respiratory jacket that performs a similar function to an iron lung, circa 1938. 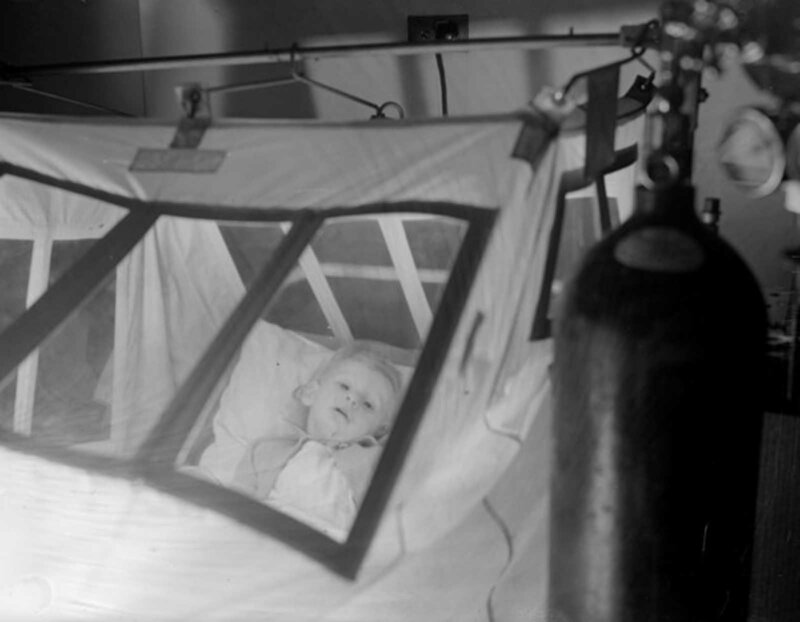 A young patient, Gerald Blackburn, in an oxygen tent at Princess Beatrice Hospital, circa 1937. 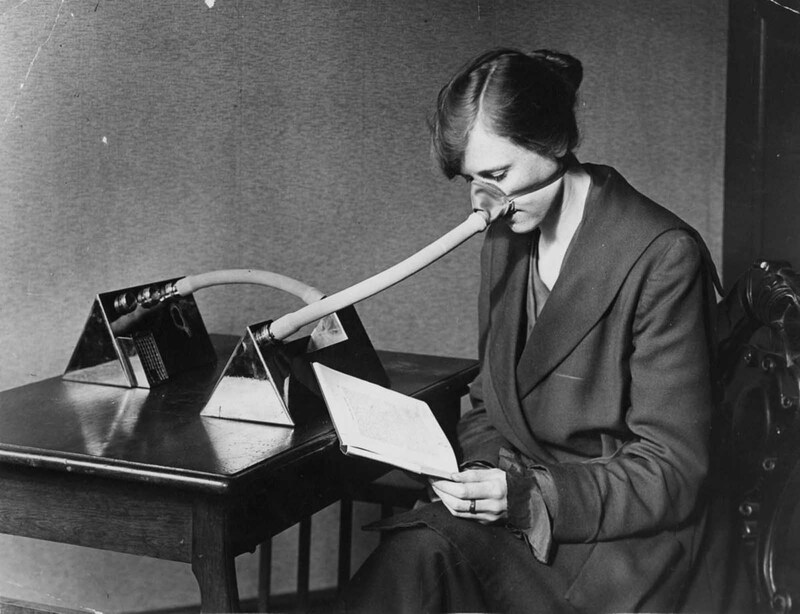 A woman using an electric inhaling apparatus which produces a medicated fog used in the treatment of colds and influenza, circa 1929. 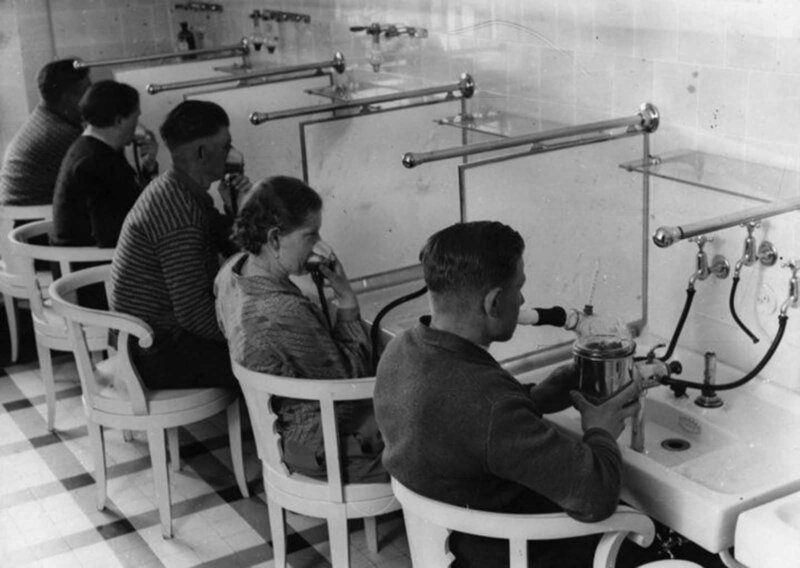 Patients at a hospital in Germany inhaling powdered medicines such as menthol and eucalyptus to heal respiratory diseases, circa 1930. A woman wearing a flu mask during the flu epidemic which followed the First World War, 1919. 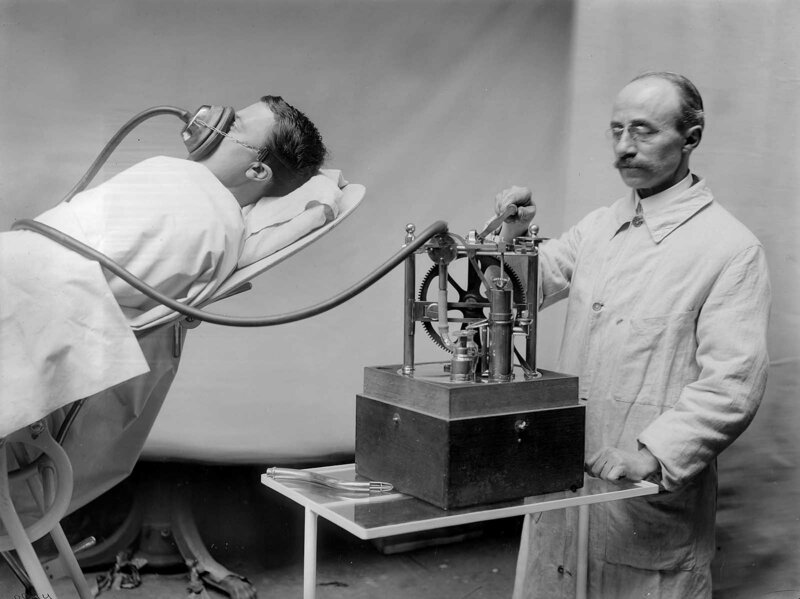 R. Dubois anesthetizing machine in France, circa 1913. 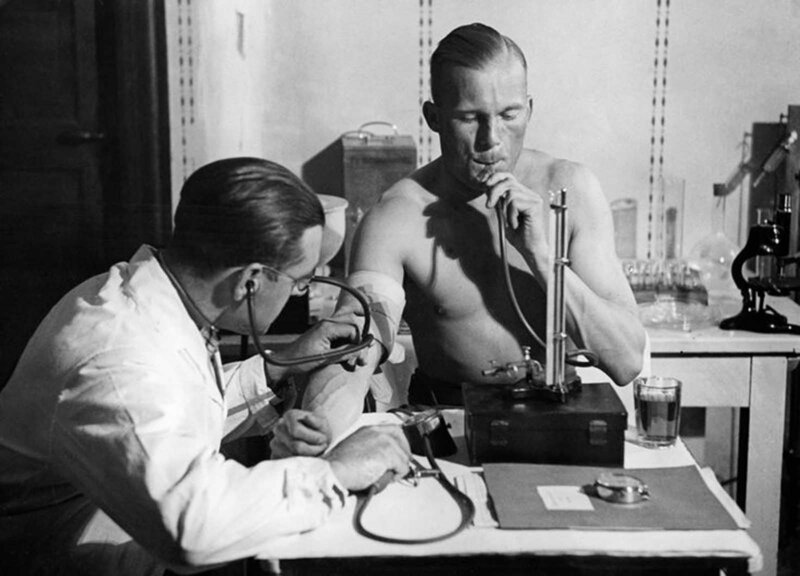 Lieutenant Radtke presses air into his lungs in a constant height with a mercury column, while the doctor checks his blood pressure, circa 1932. 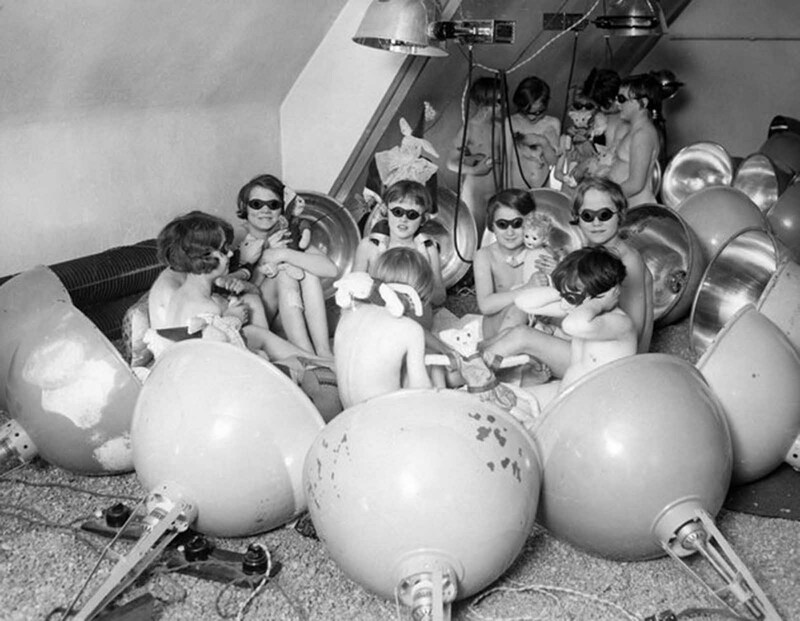 Children using a light bath in Berlin, Germany circa 1929. 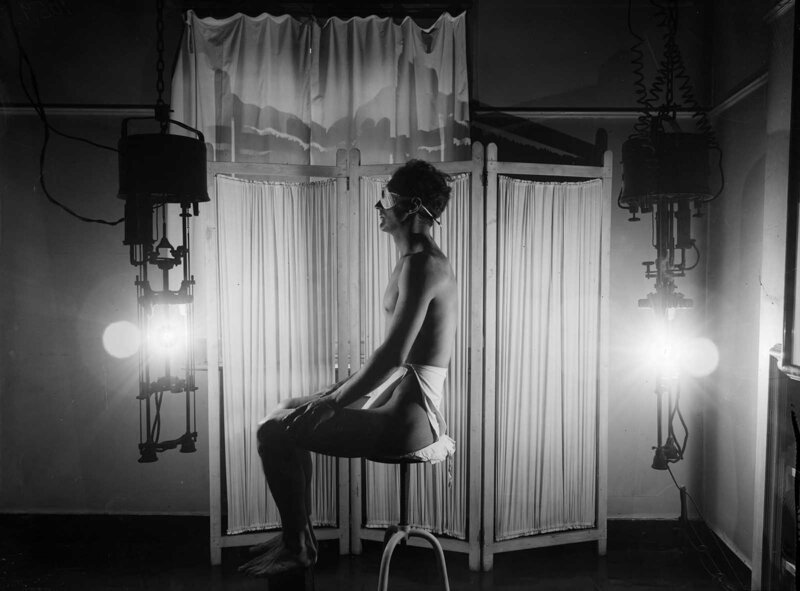 A man enjoys a sun-ray lamp, circa 1930. The new ‘hip massage machine’ from the United States, circa 1928. 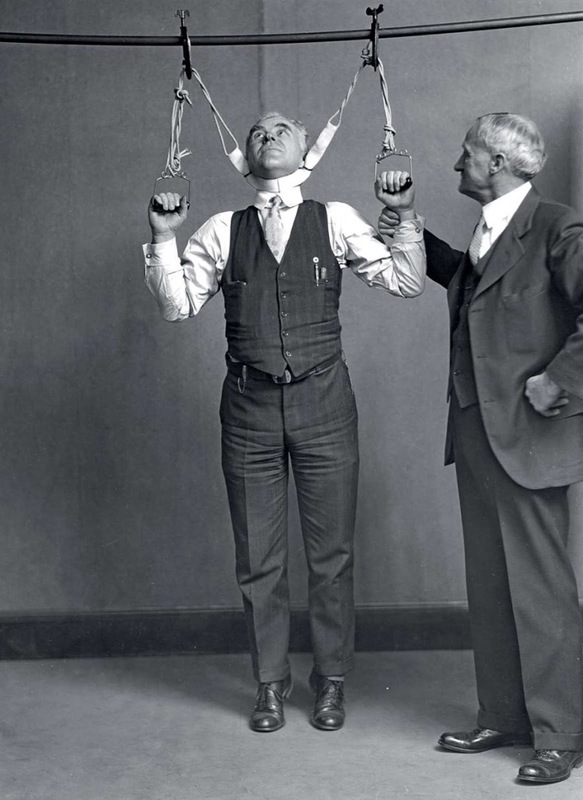 Post Office Department Inspector DF Angier (left) and Dr. LF Kebler, formerly of the Food and Drug Administration, try out a stretching device which claimed to increase height by 2 to 6 inches, 1931. 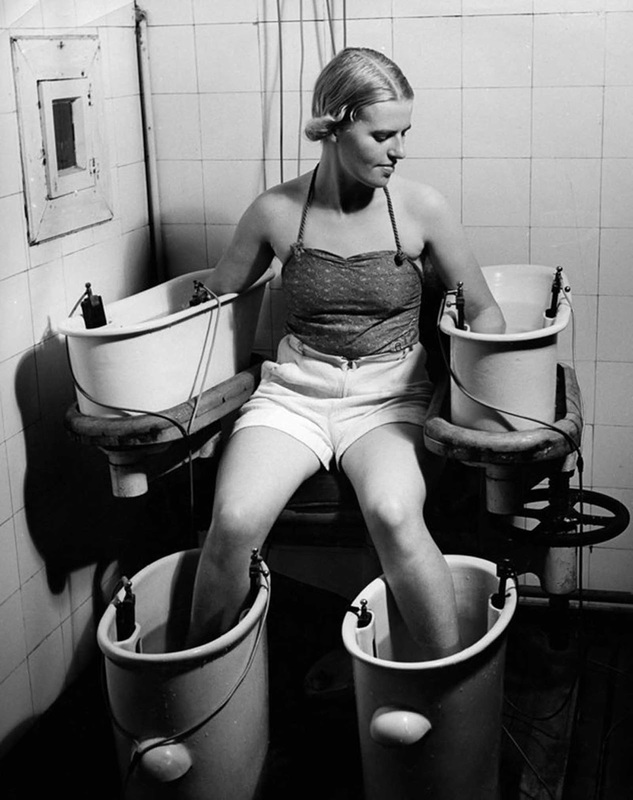 A young woman holds her arms and legs in four water bathes with electric current, to improve blood circulation, circa 1938. 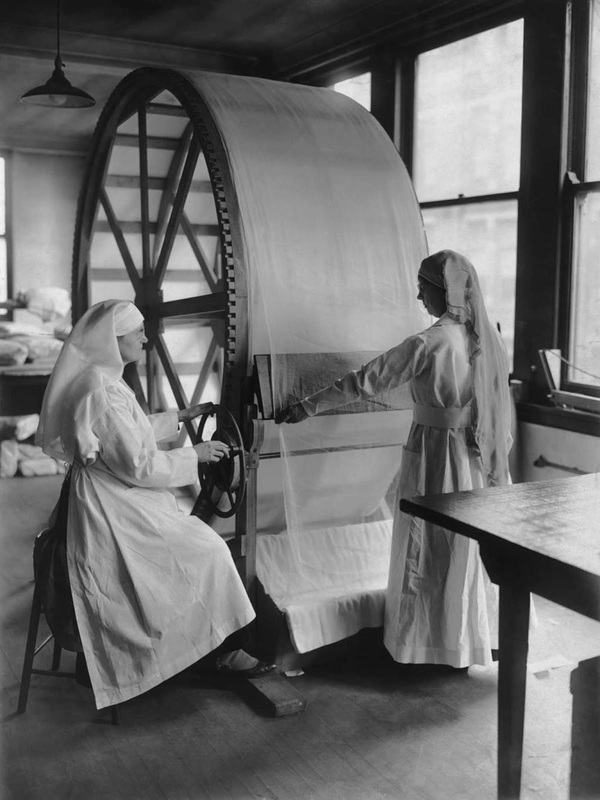 Women operate the new stretching machine for surgical dressing at the Red Cross headquarters in Cincinnati, Ohio, circa 1915. 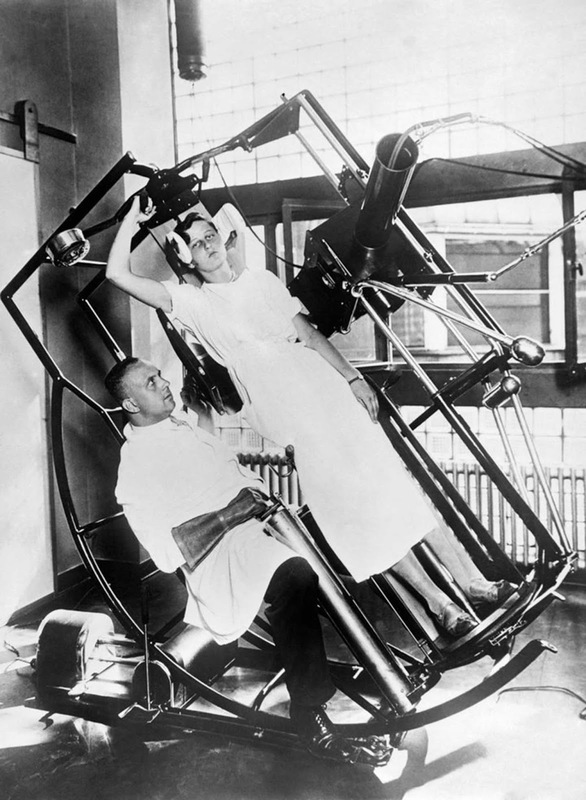 The modern Roentgen ‘look through’ machine, which prevents any injury to the treating physician, Frankfurt, Germany, circa 1929. 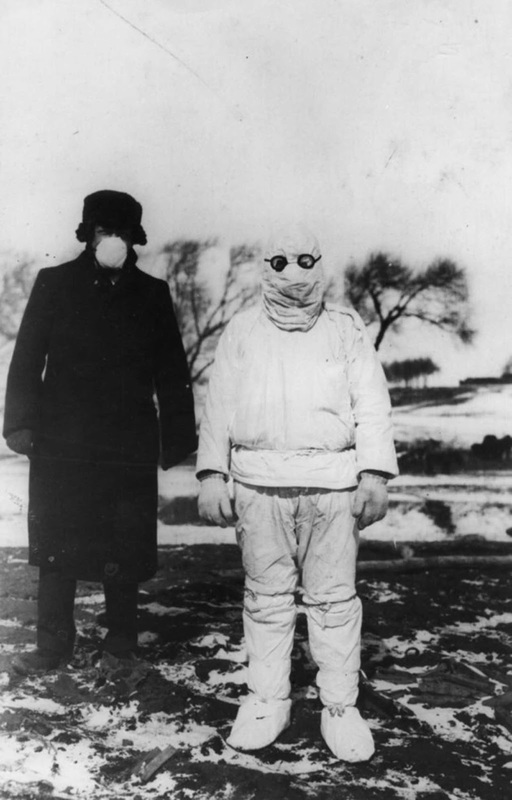 A doctor wears protective clothing during an outbreak of plague in Manchuria, circa 1912. 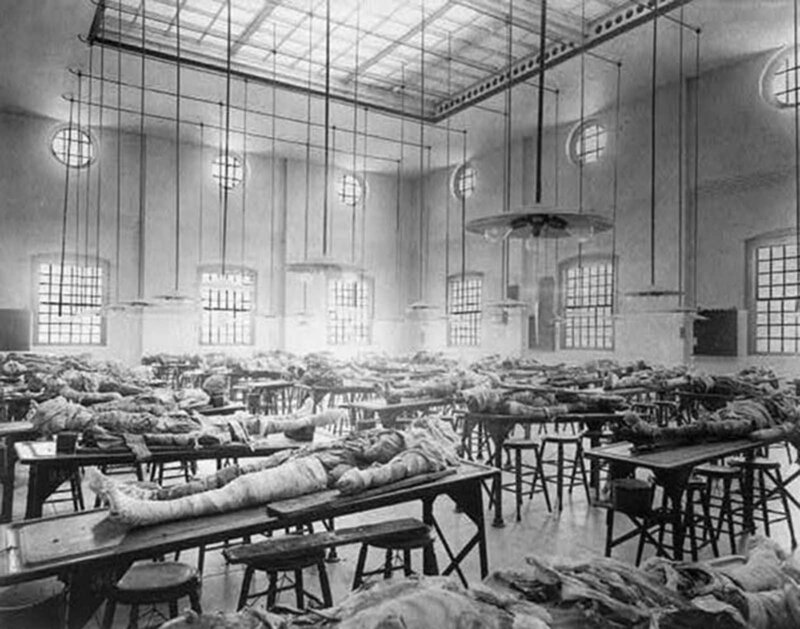 Partially dissected cadavers on tables in the dissecting room at the Jefferson Medical College in Philadelphia, PA, circa 1902. 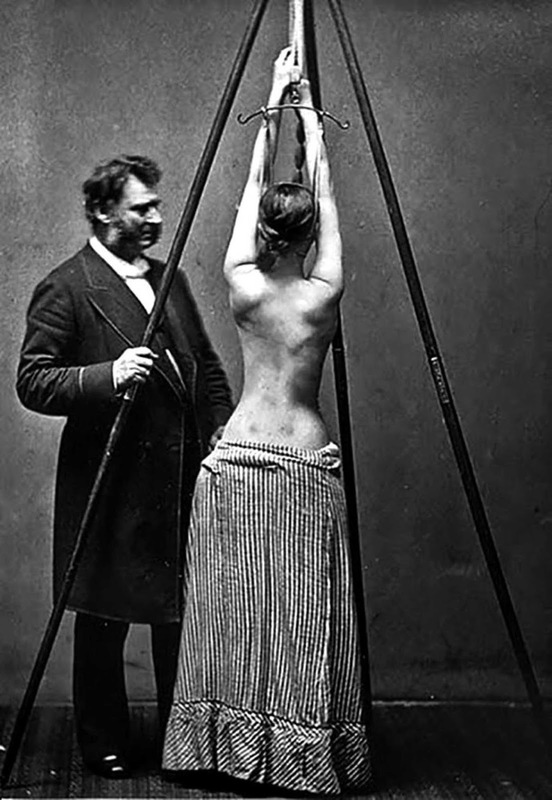 Dr. Lewis Albert Sayre observes the change in the curvature of the spine as a patient self-suspends herself prior to being wrapped in a plaster of Paris bandage as part of her scoliosis treatment circa 1850-1900.